My first car, an E30, being excited to get it safetied and to broke to buy OEM parts, I purchased an after market tierod from my local auto parts store. After getting the car back I heard a grinding/swishing noise that went with the pace of how fast the car was going (the faster I went the more frequent the noise). After driving some distance I realized that the tierod was ever so slightly grinding away the inside barrel of my ‘bottlecap’ rim. Lesson learned: After market (even high quality) components are sometimes thicker then oem. If you supply the part to the mechanic he will likely put it on without thinking, and it becomes your problem (plus the labour cost). Its always worth comparing the new aftermarket part with the old OEM part before installation. The cheapest way to mend this problem was for me to grind away excess metal on the tierod with a file. Had a gouged rim (was replaced with the spare bottlecap I had. Getting bigger 15″+ rims would have also made the problem go away because of the larger inside barrel diameter. I have also experienced recently wherein a tireshop had double stacked the weights while balancing the tires which then interfered again with the tie-rod. 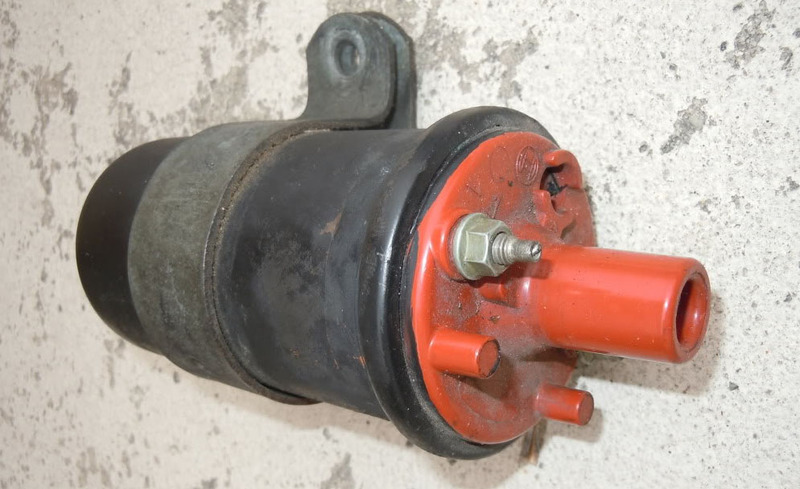 The ignition coil in the picture is a used OEM part. While attempting to trouble shoot a hesitation problem (which ended up being an O2 sensor) I ordered and installed a ‘direct replacement’ part the was made by a 3rd party company. To my surprise even though the specs on the coil looked identical, my car ran terribly; almost made it sound like it had a massive air leak. Lesson learned: Buy OEM or just buy a good used coil, they hardly ever fail. My E30 had very rusty fenders, so when I found a clean set at a junk yard I didnt hesitate to buy them. Later I found out they were aftermarket fenders. The gaps and flow of the fender looked ok from 5 feet away but from up close not so much. 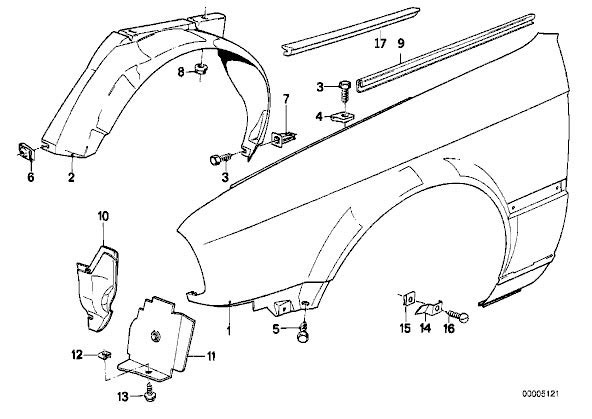 Companies that make aftermarket fenders make fenders for almost every make and model car from various years and generations, it is understandable that they can not devote excess amounts of time to make each fender fit just right. Lesson learned: Aftermarket body panels rarely and I mean very rarely ever fit perfectly. You will notice bigger gaps here and smaller gaps there. I know they are cheap, but take my word for it and keep looking for clean OEM body panels. This entry was posted on May 30, 2012 at 12:58 pm and is filed under Interesting Stuff. You can follow any responses to this entry through the RSS 2.0 feed.